Flanged Washer Area is Ideal for Masking Around Lead-In Chamber of Threaded Holes. 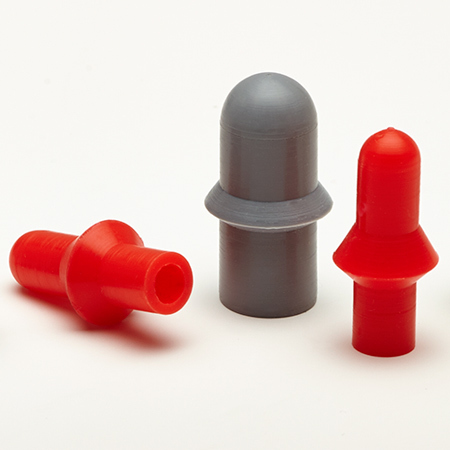 Flanged Caps are Reusable, and Will Not Melt or Harden. Powder Coating, E-Coating, Plating and Anodizing. Used as a plug in threaded holes, and chamfered holes. Can also be used as a substitute for an equivalent silicone cap. 0.173 (4.4mm) ID X 0.291" (7." 0.224 (5.7mm) ID X 0.343" (8." 0.303 (7.7mm) ID X 0.421" (10"
0.421 (10.7mm) ID X 0.539" (1"